First published in 1994. This study covers a wide cross-section of topics, individuals, groups, and musical practices representing various regions and cities. The subjects discussed reflect the religious, ethnic, and social plurality of the American musical experience as well as the impact on cultural society provided by the arrival of new musical immigrants and the internal movements of musicians and musical practices. The essays are arranged principally on the basis of the historical chronology of the cultural practices and subjects discussed. 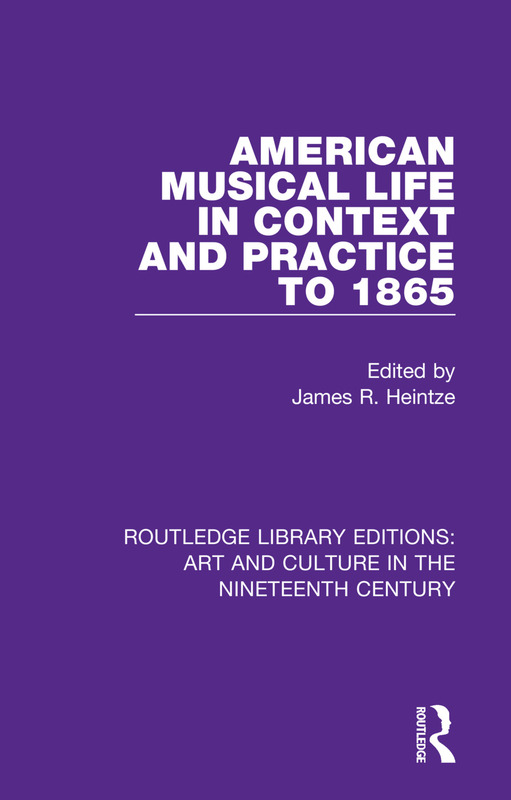 Each article helps to shed additional light on cultural expressions through music in eighteenth- and nineteenth-century America.